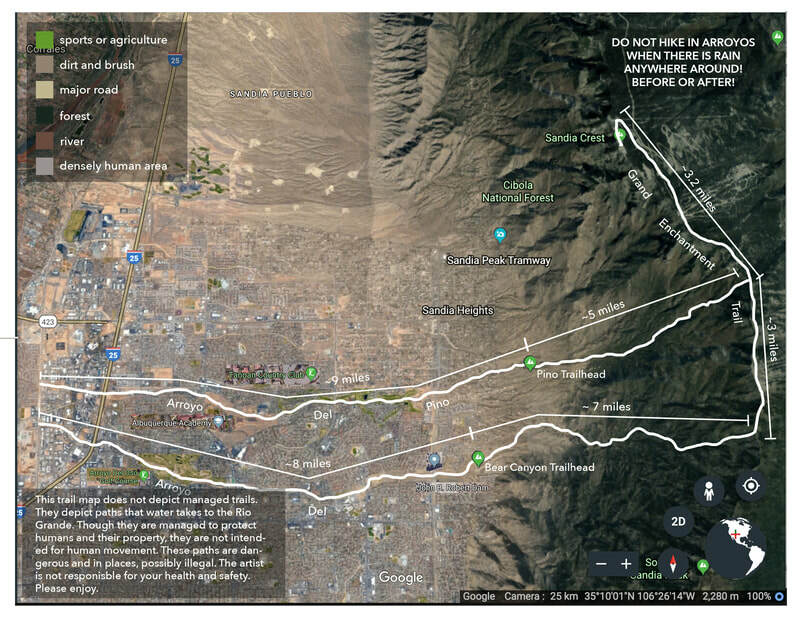 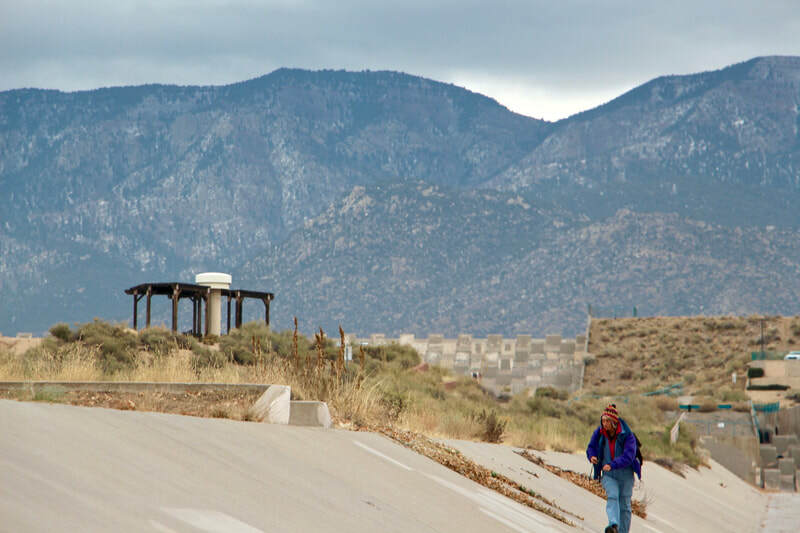 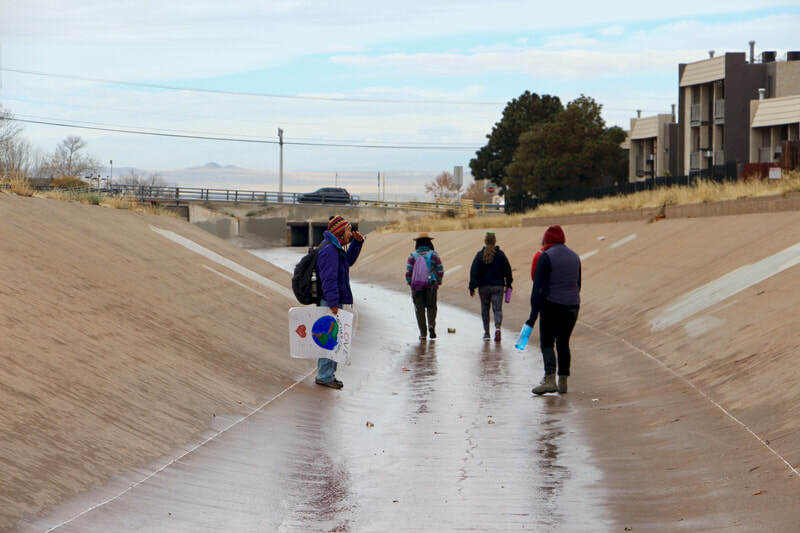 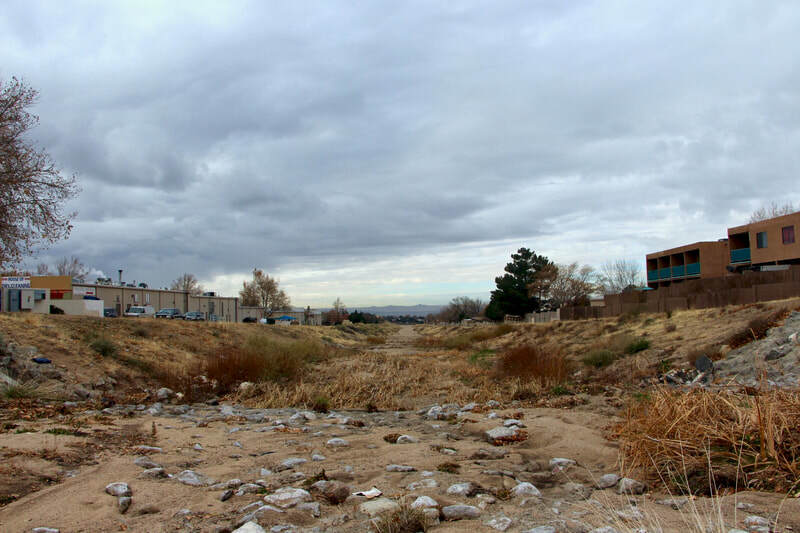 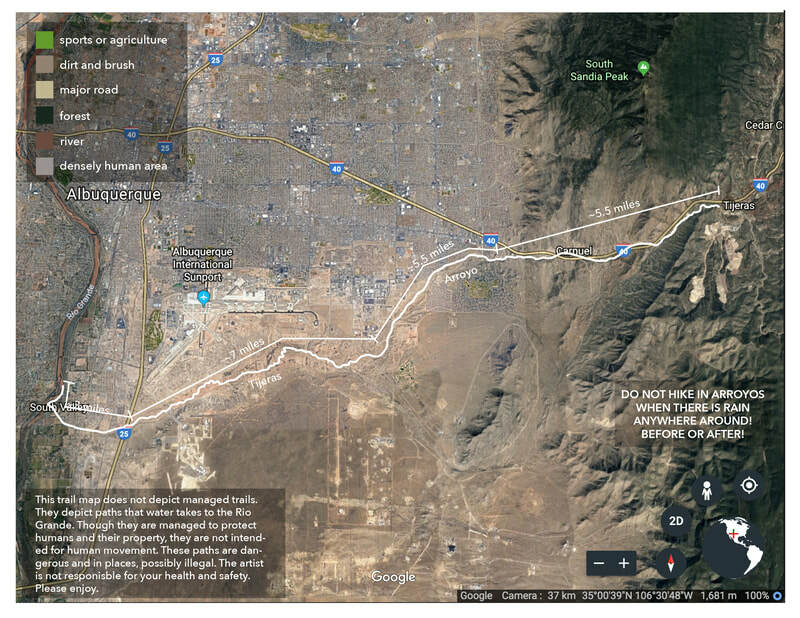 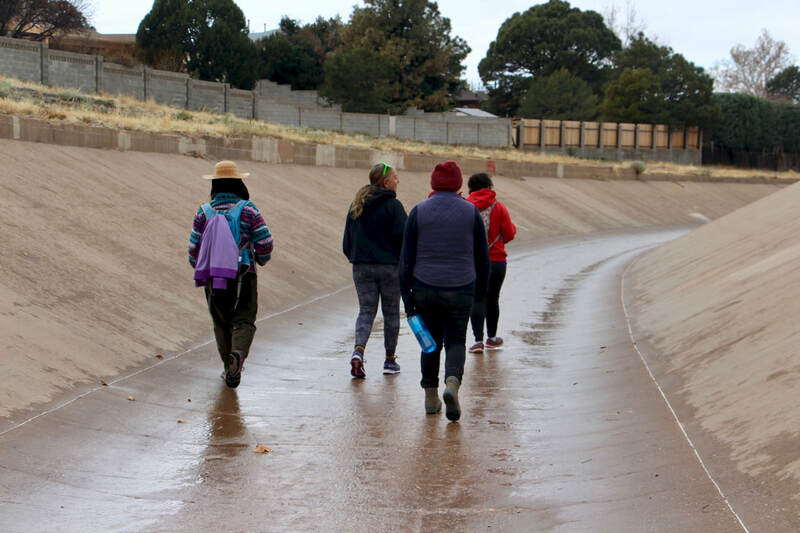 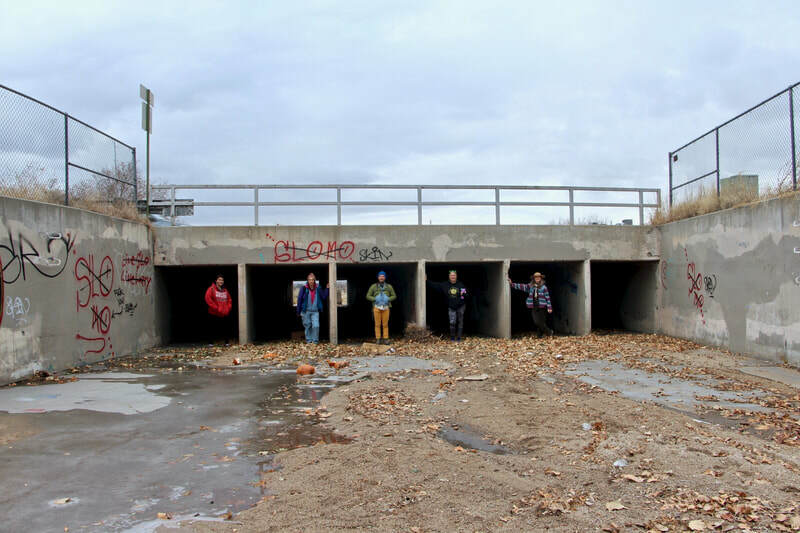 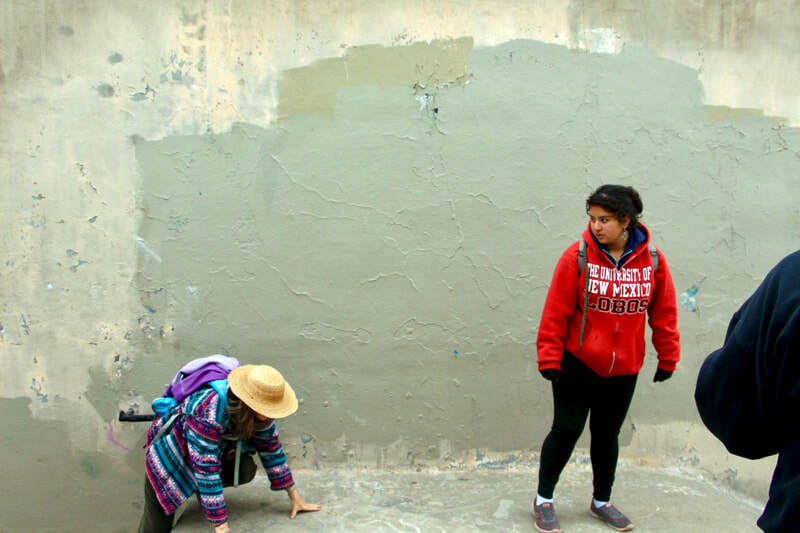 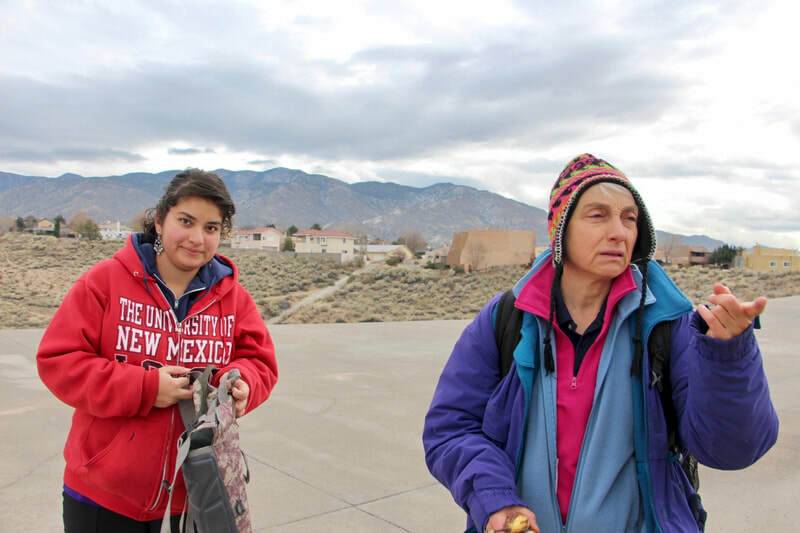 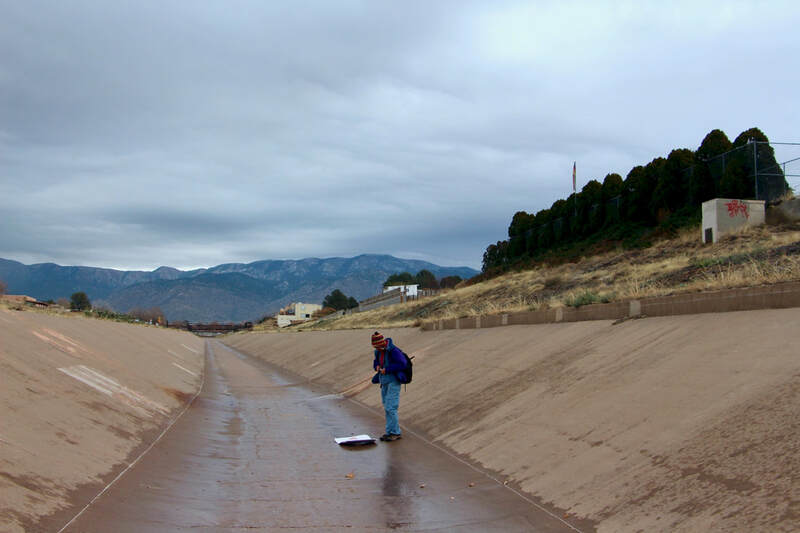 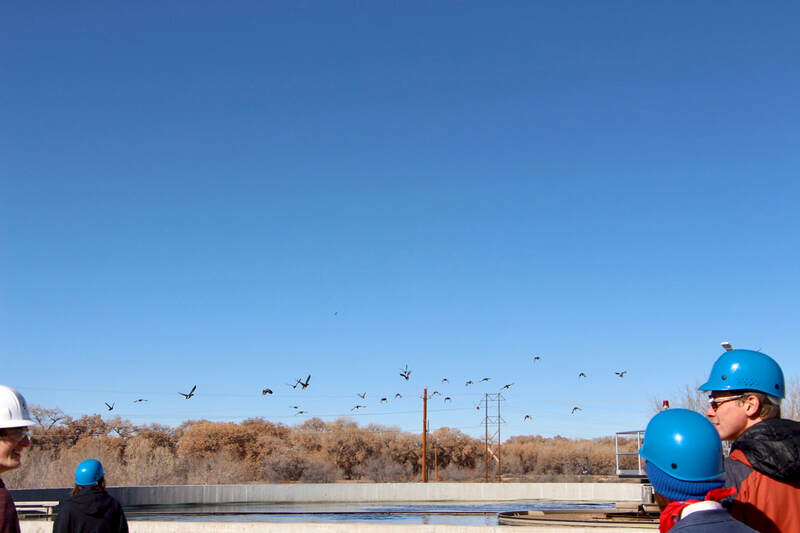 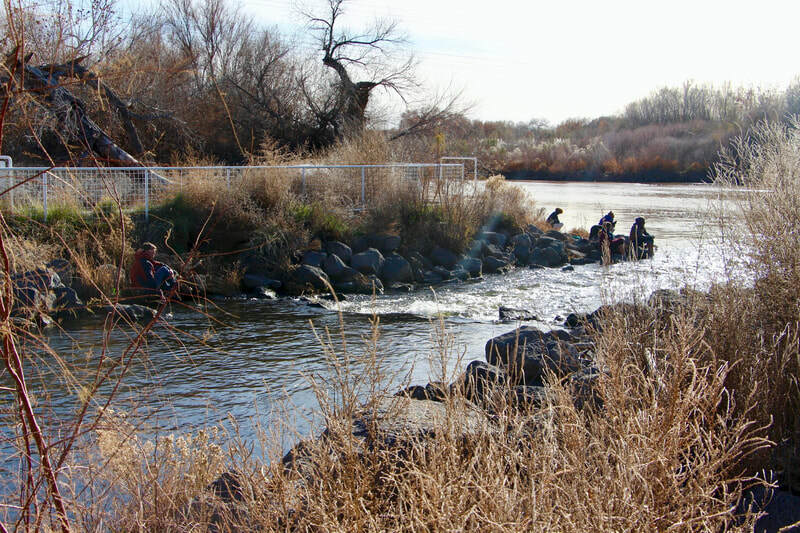 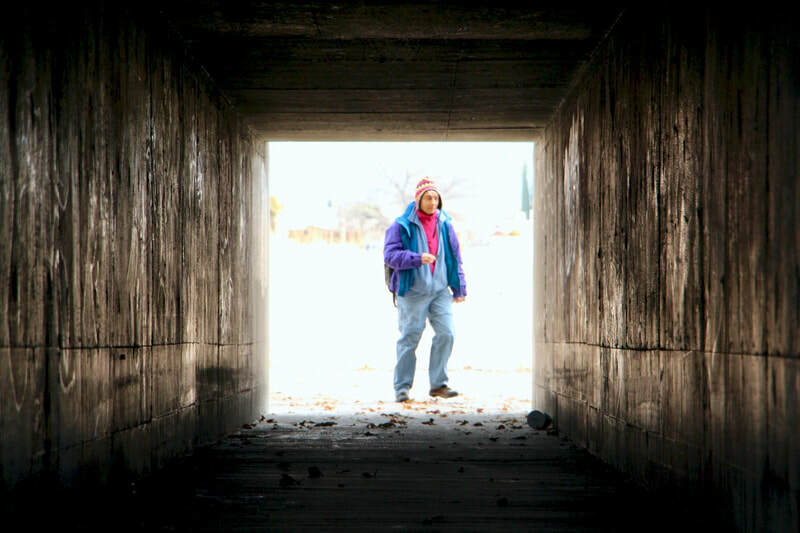 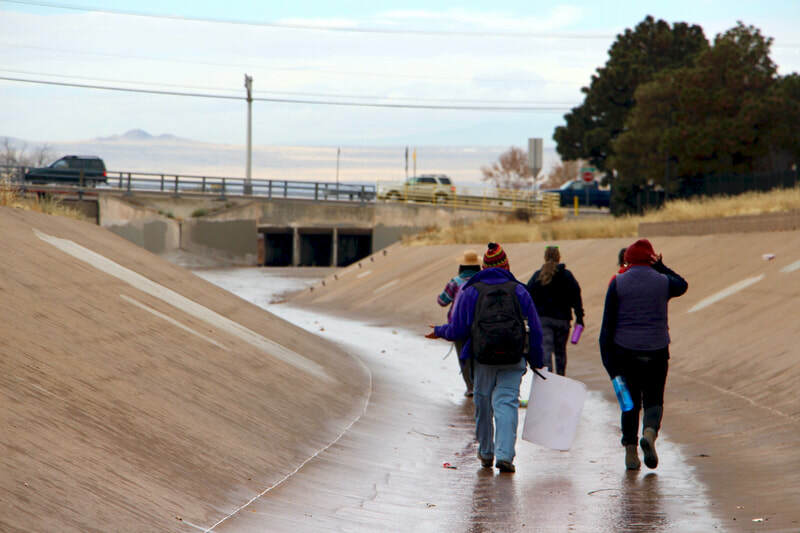 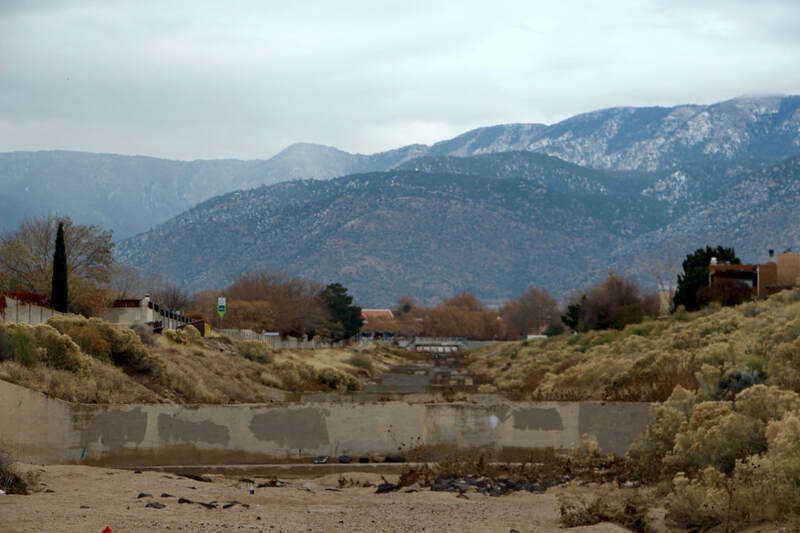 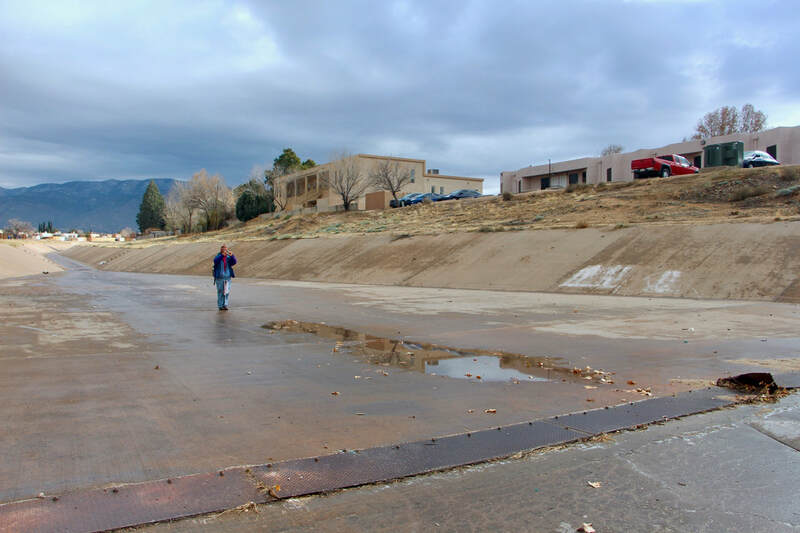 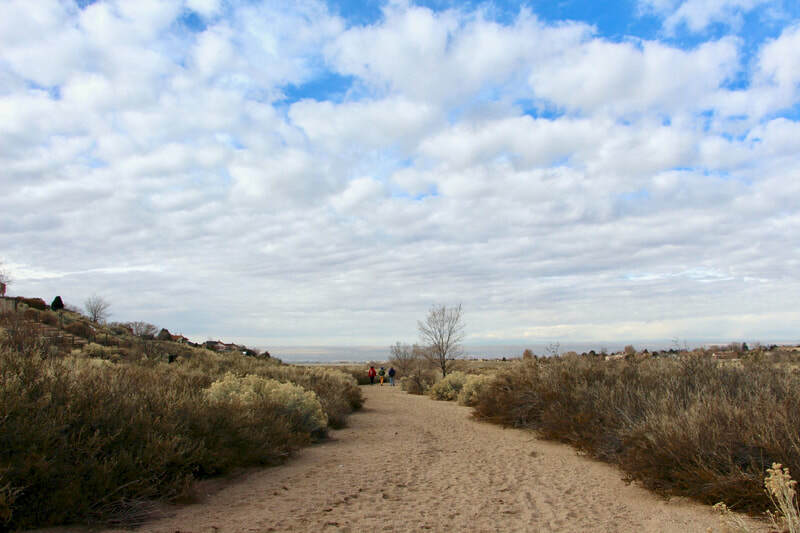 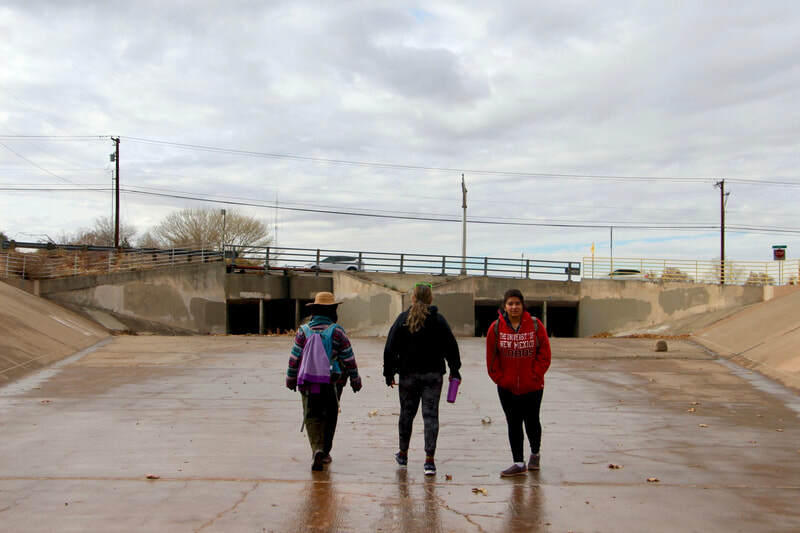 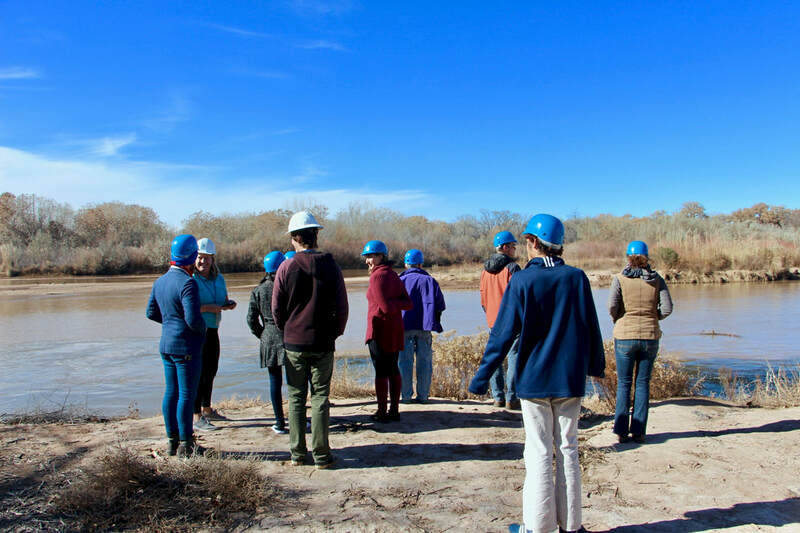 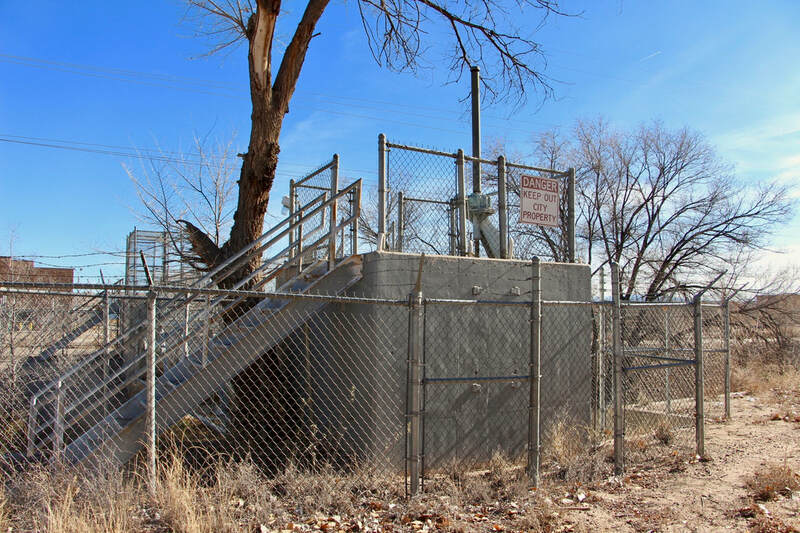 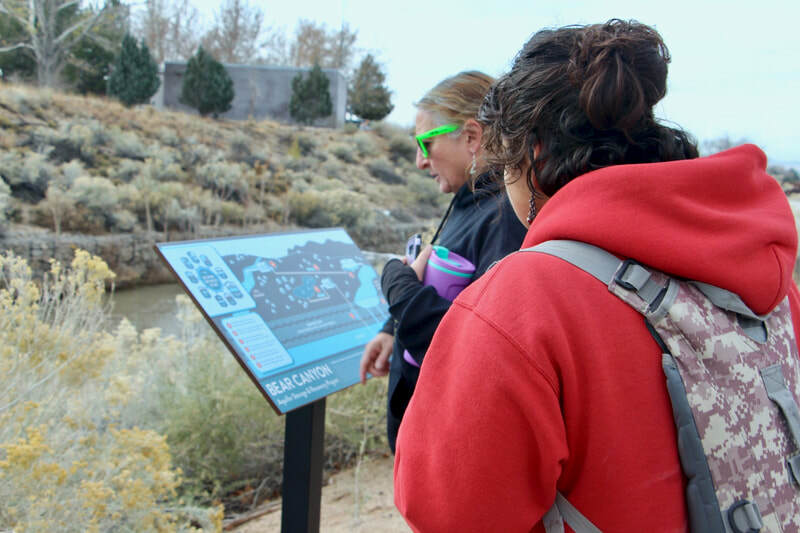 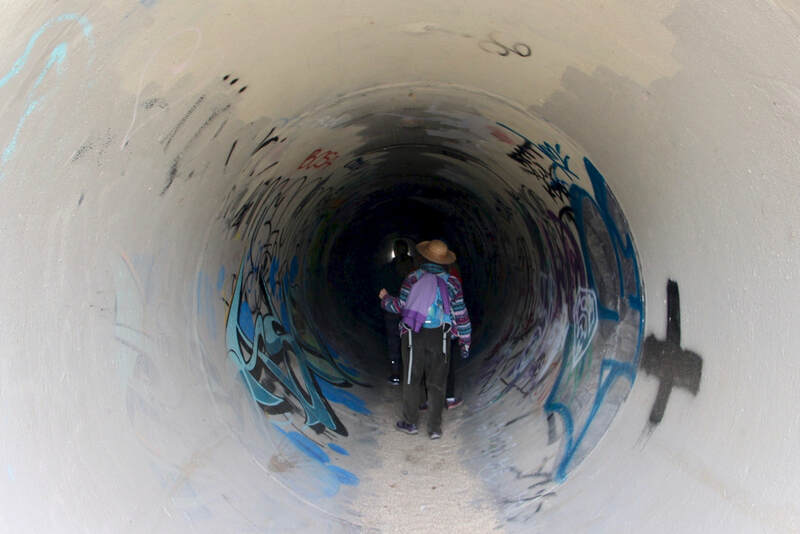 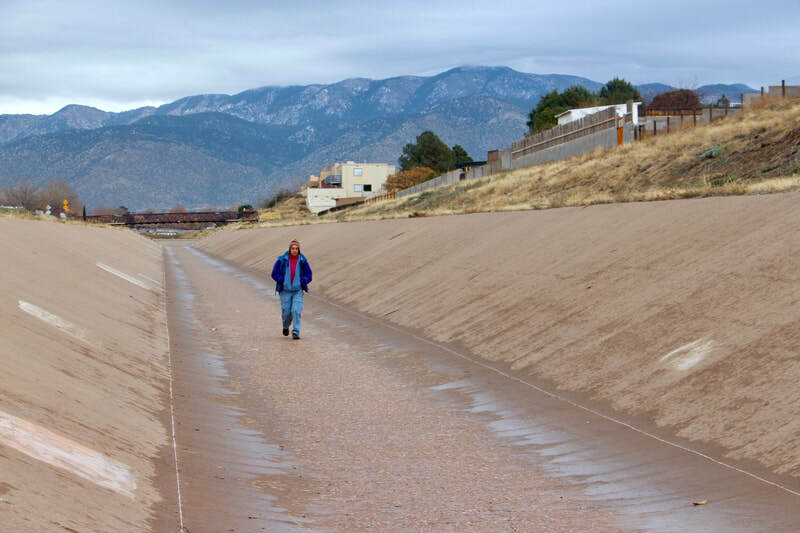 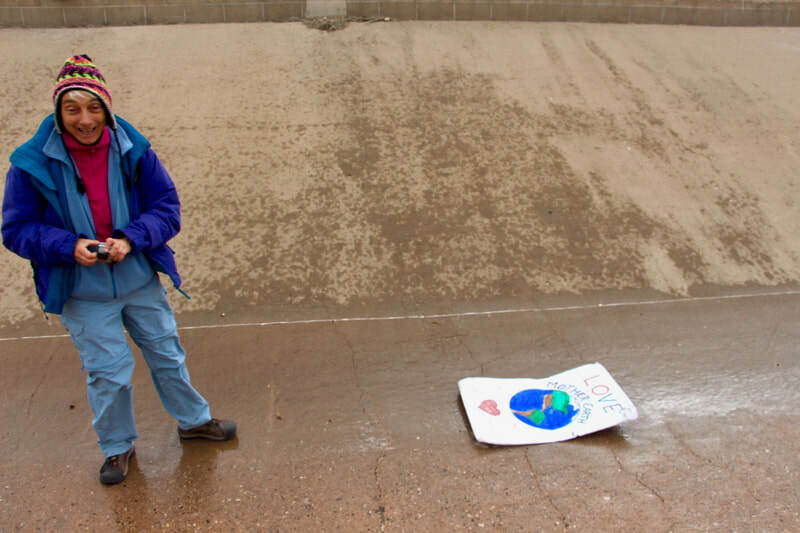 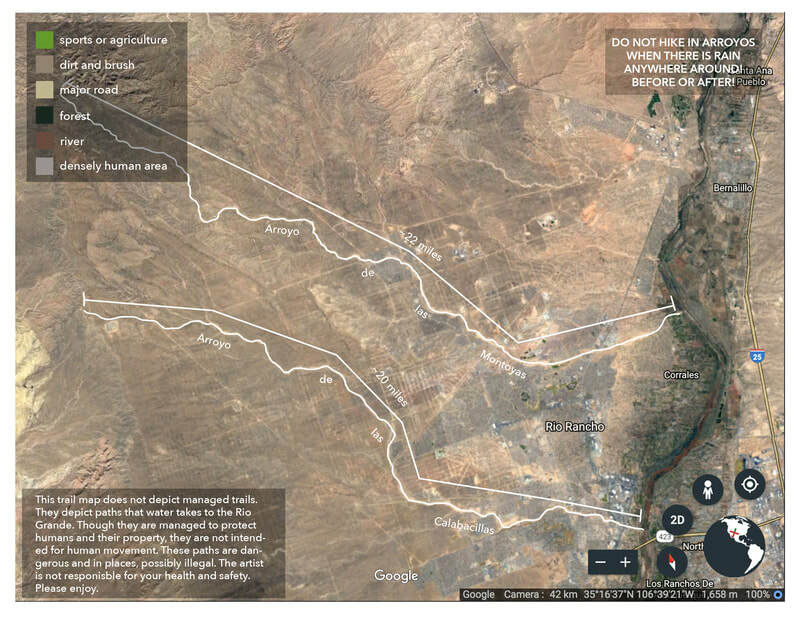 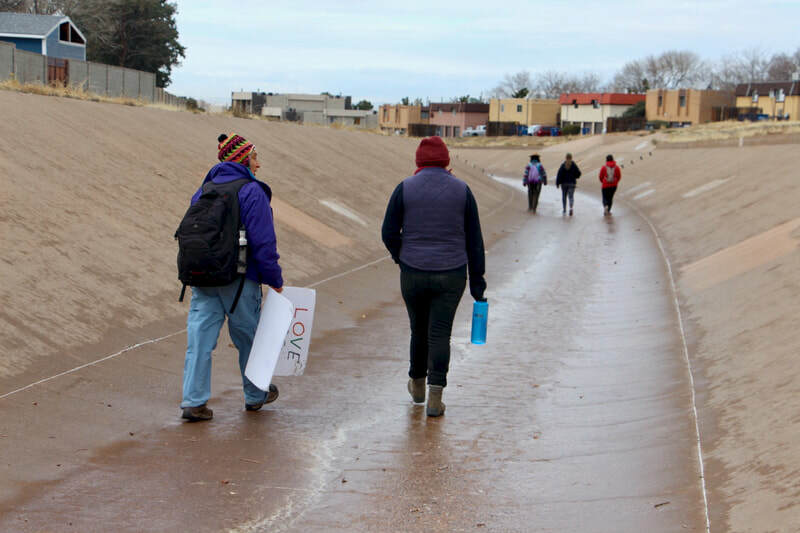 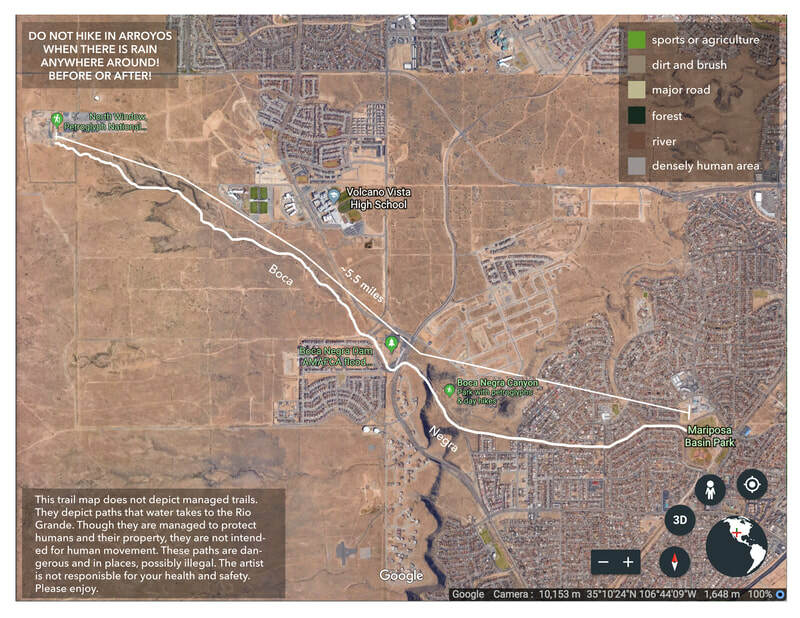 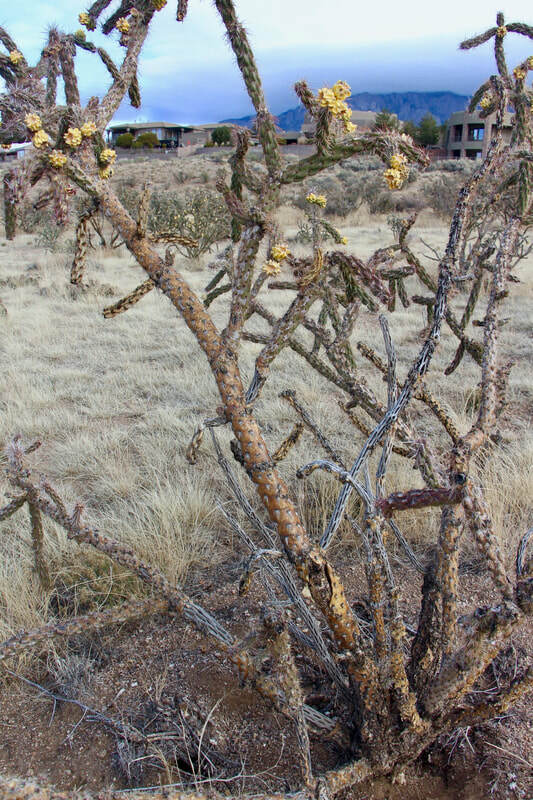 our bodies as/of water was a two-part, two-day tour of Albuquerque's water cycle. 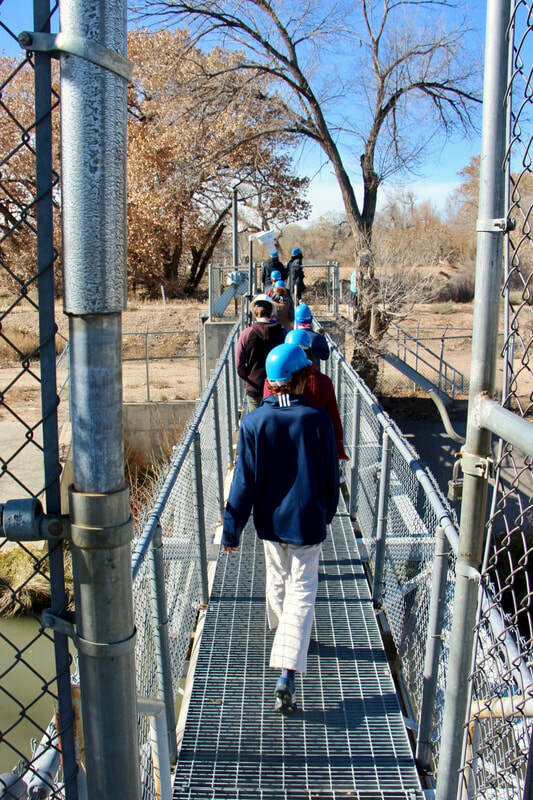 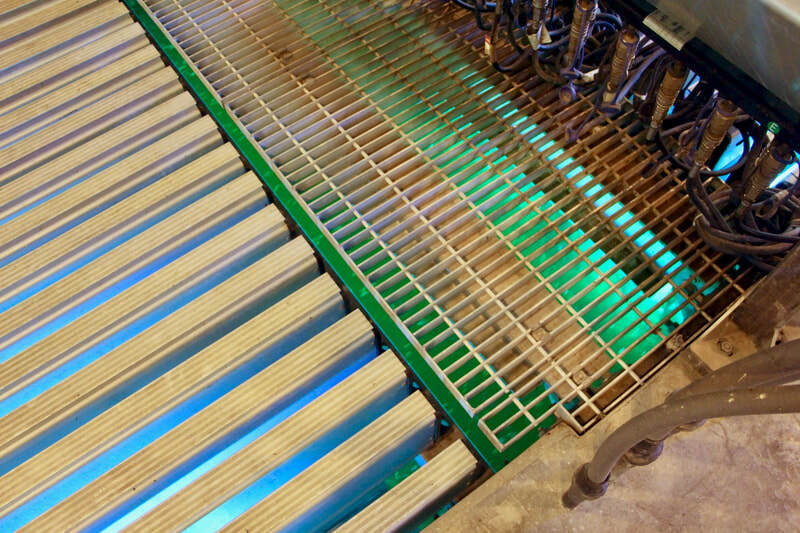 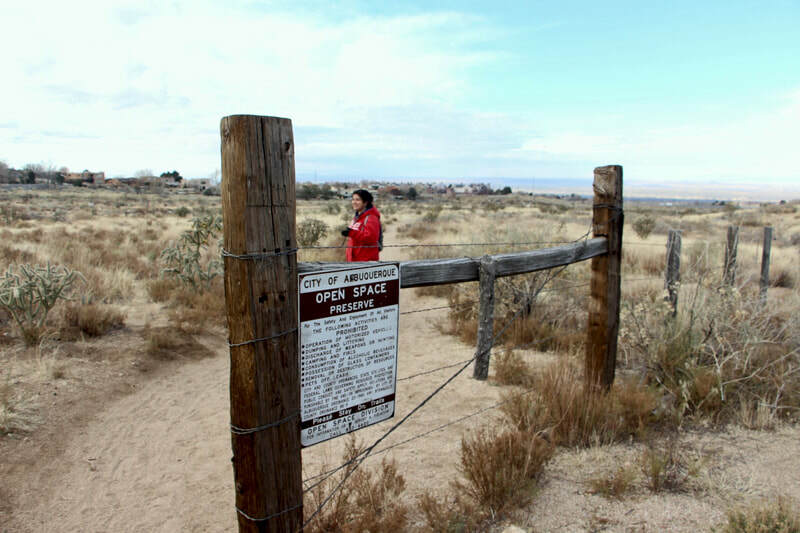 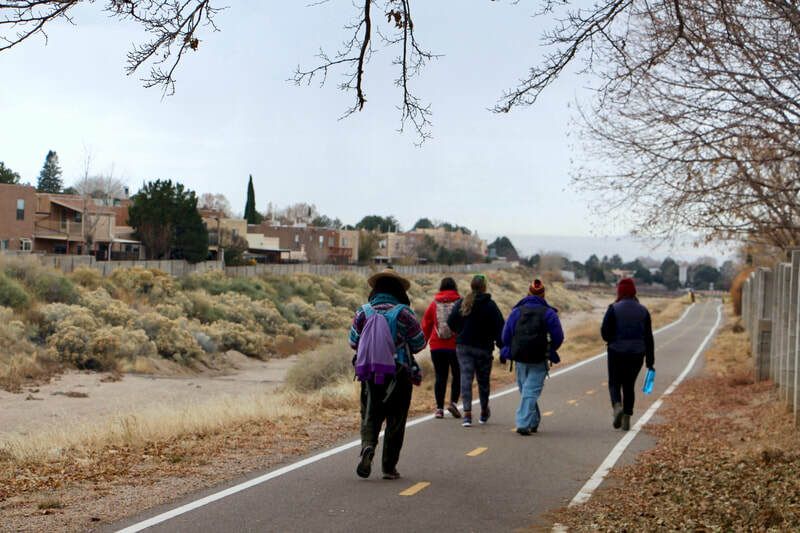 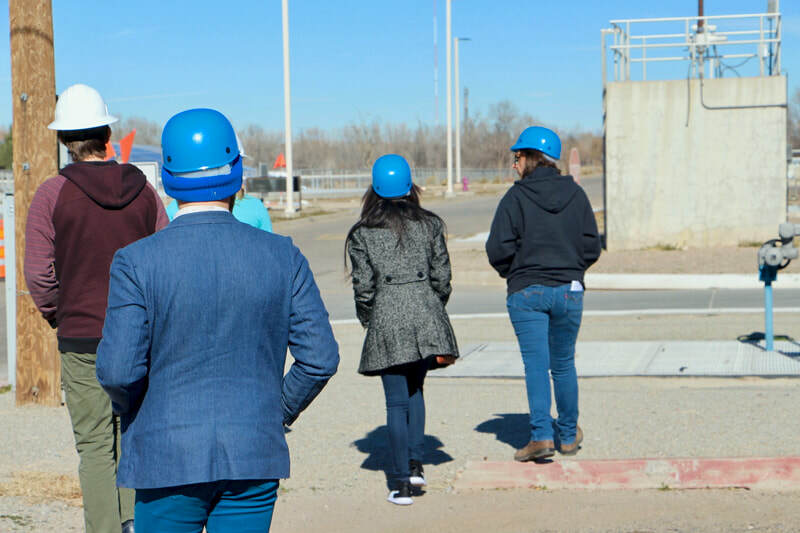 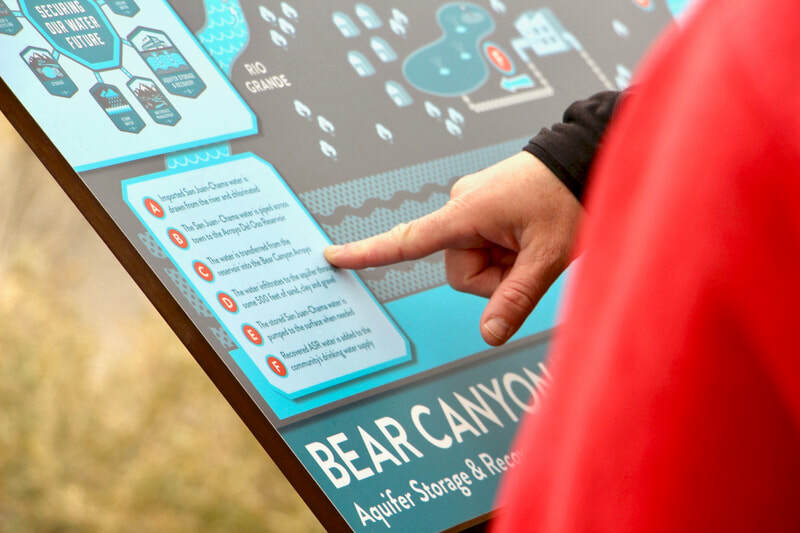 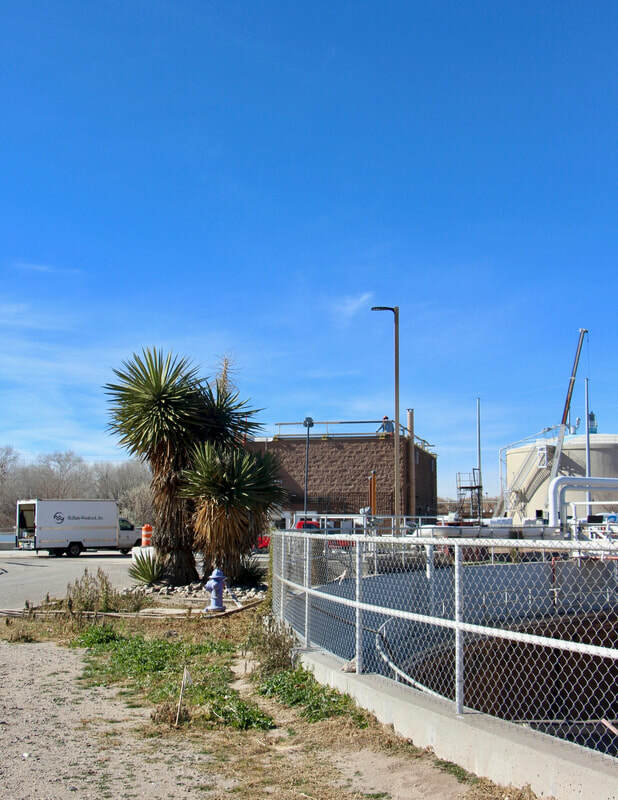 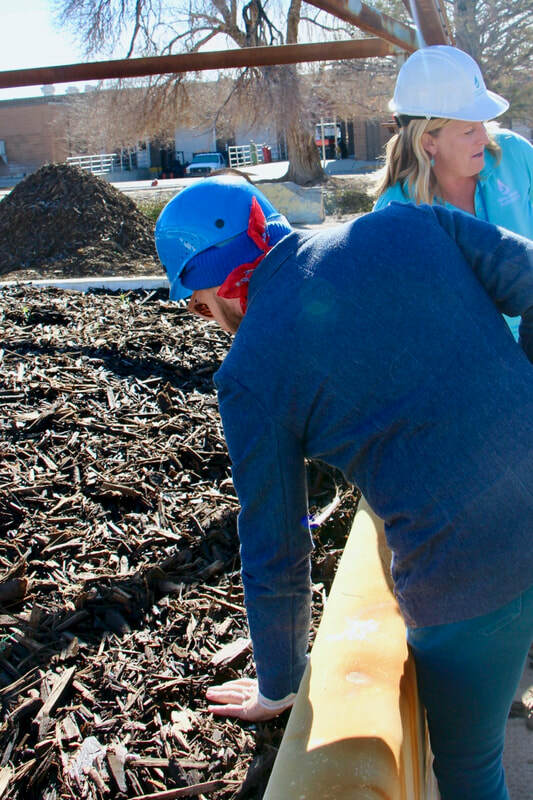 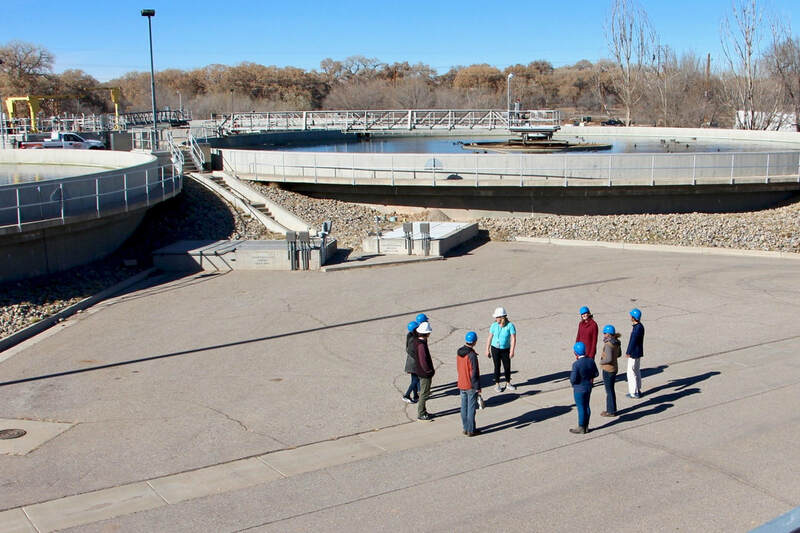 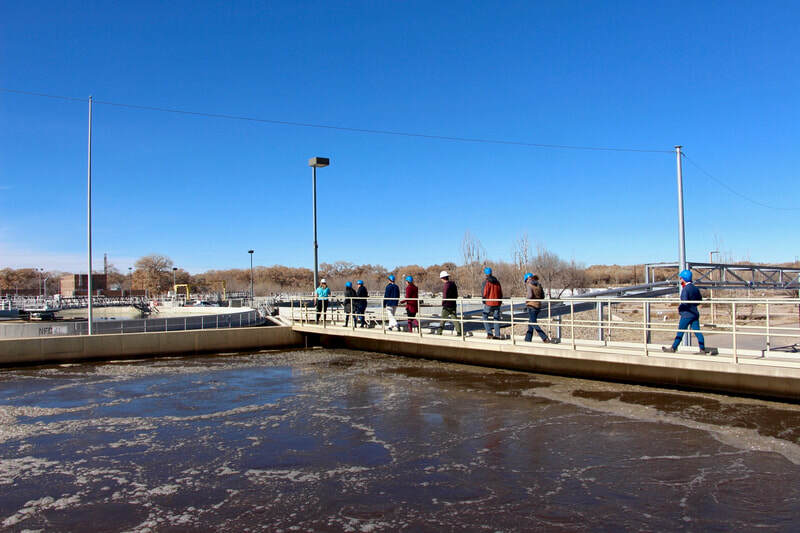 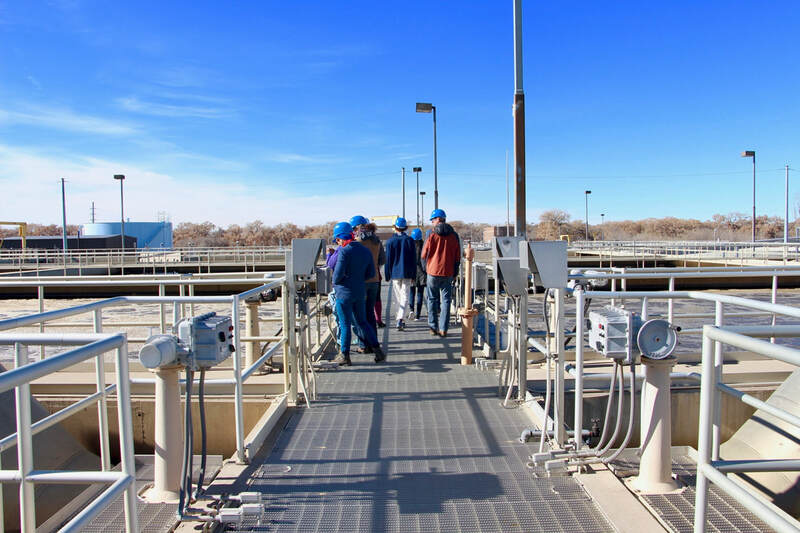 The event featured a guided tour of the Albuquerque Southside Wastewater Reclamation Plant and a four-mile hike down the Arroyo Del Oso. 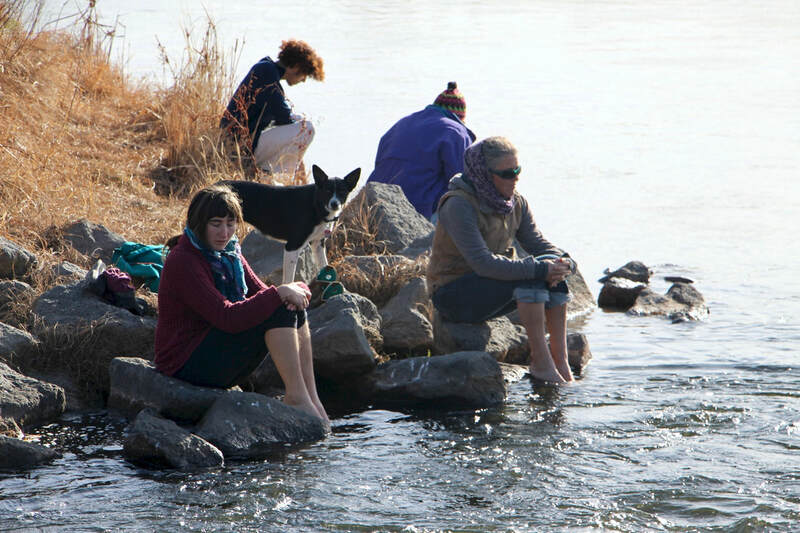 Together we connected our own watery bodies to the bodies of water that we (human and more-than-human) all depend on. For more information on Albuquerque's water system, please see the links at the bottom of this page. 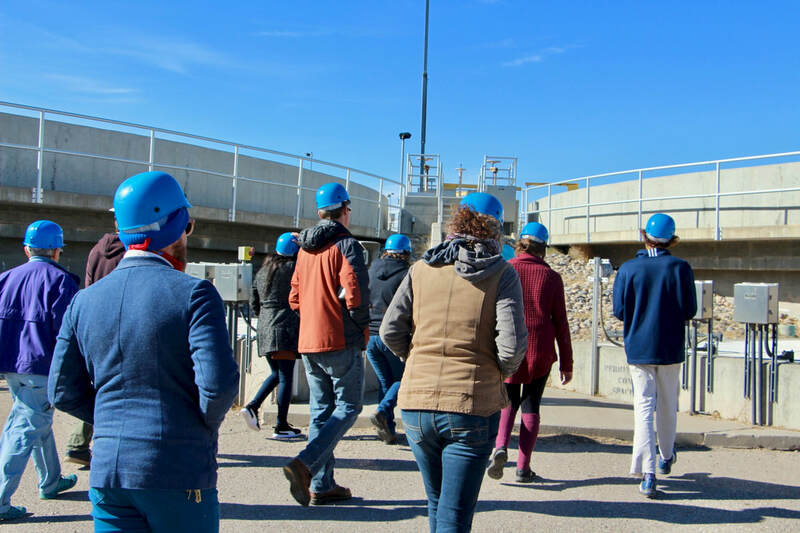 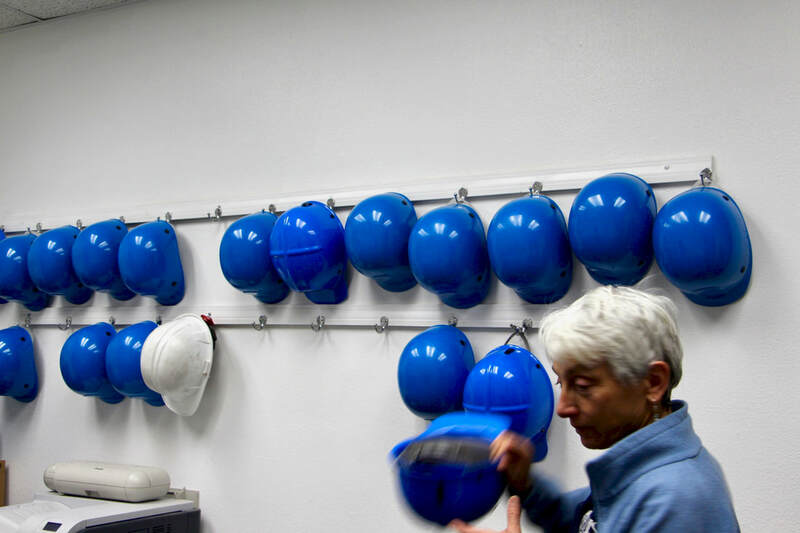 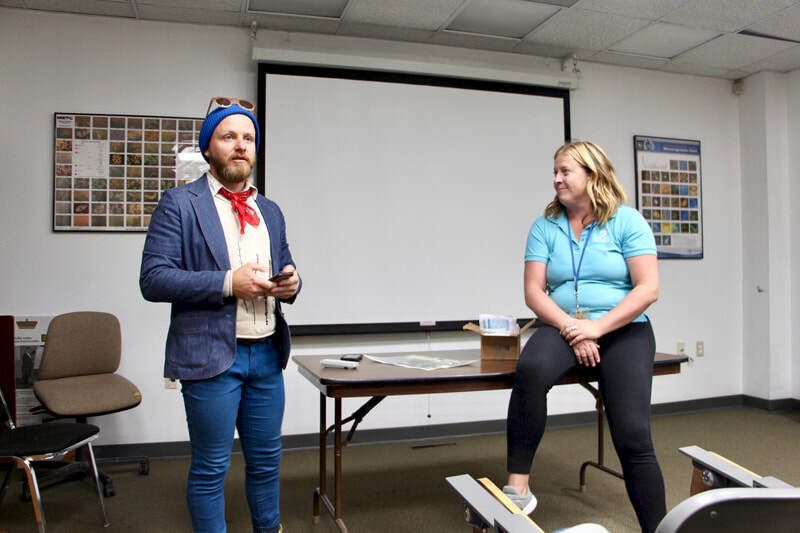 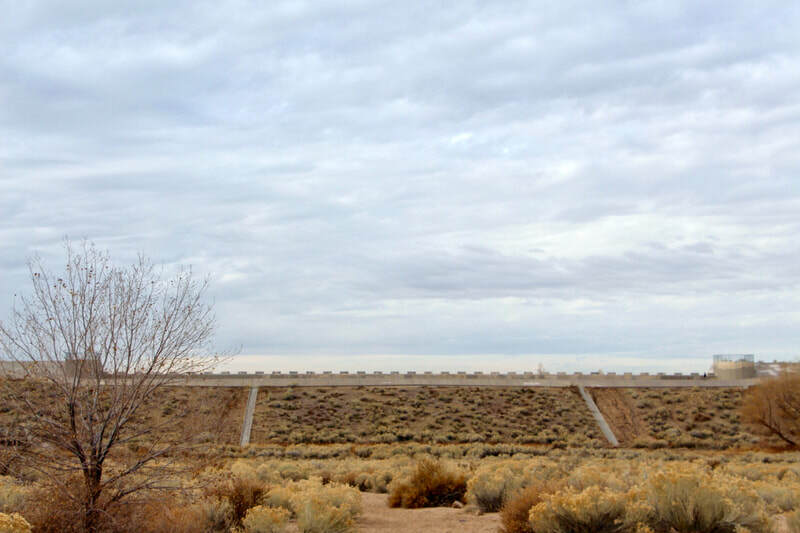 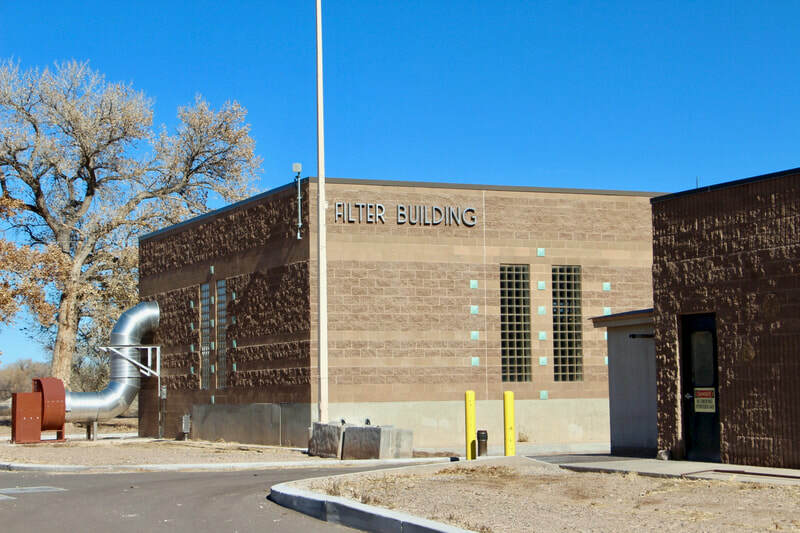 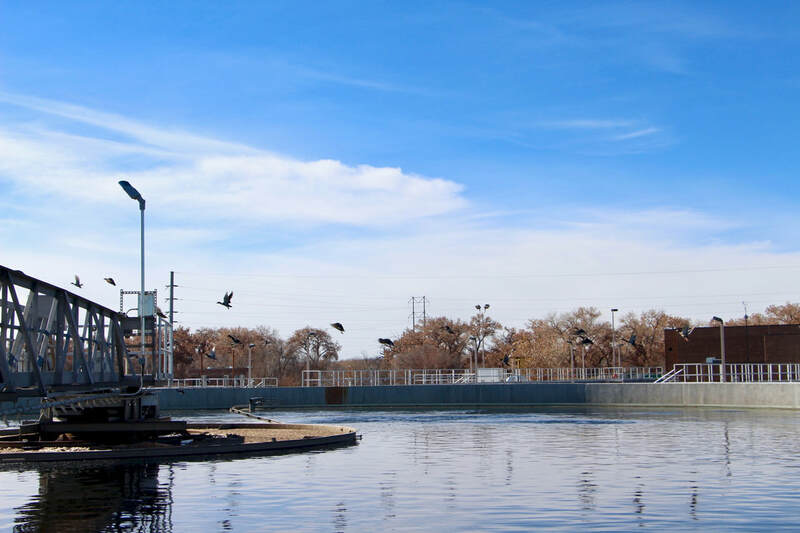 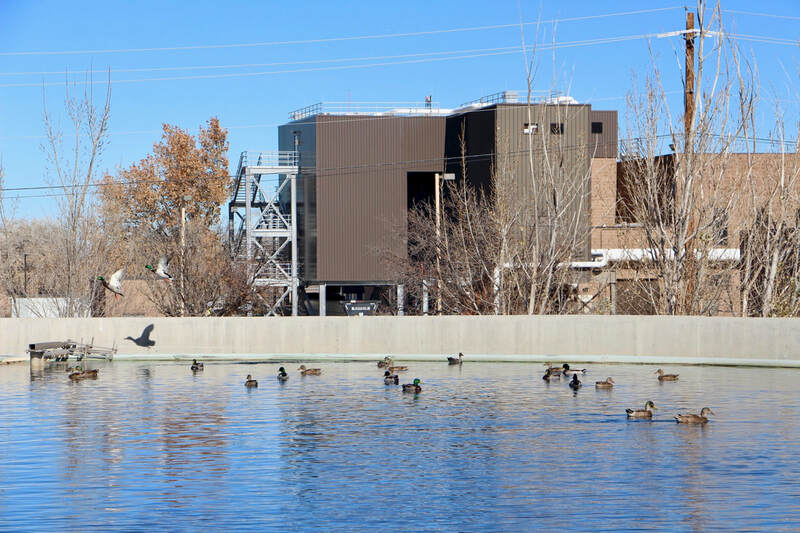 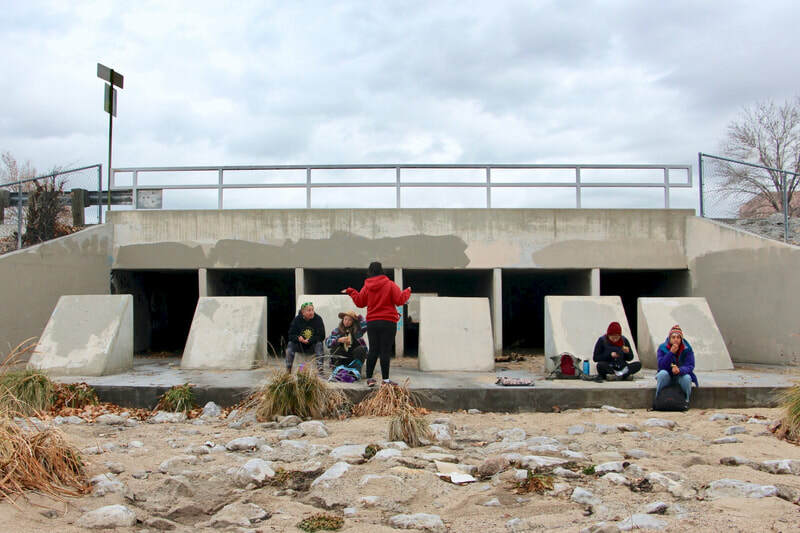 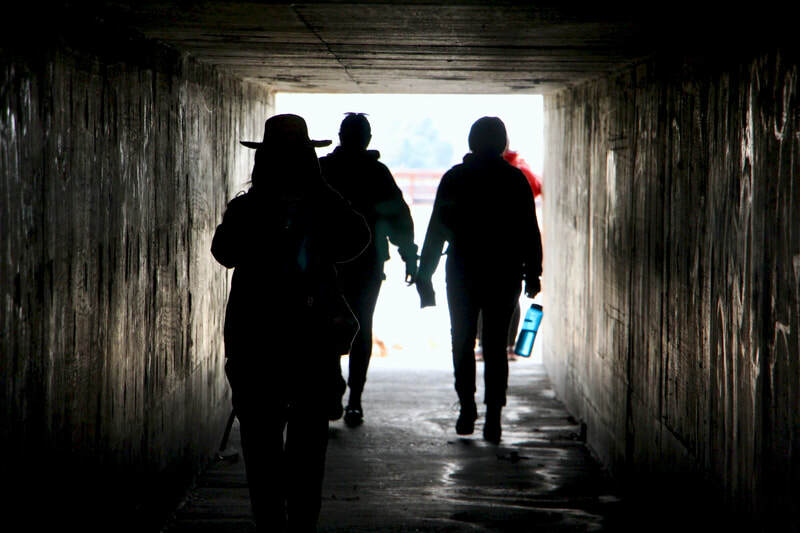 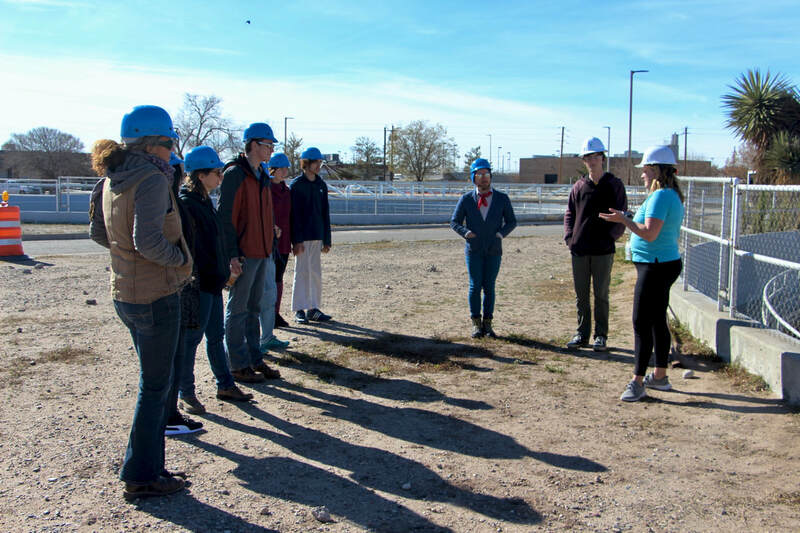 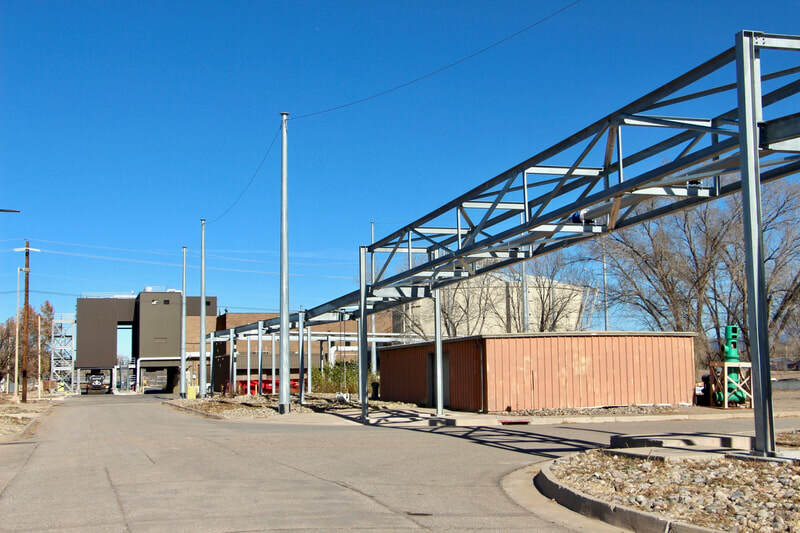 As a community, in a space of presence--welcomed by poetry and open-heartedness--we were embedded in Albuquerque's Southside Wastewater Reclamation Plant (SWRP). 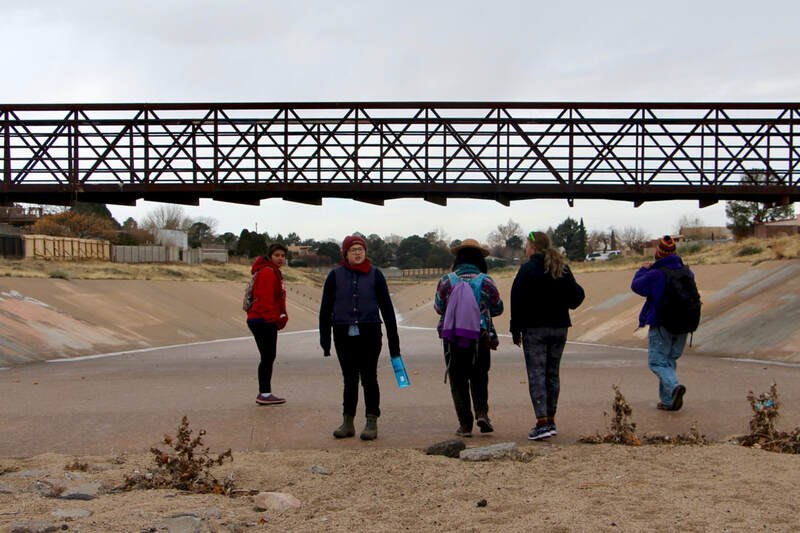 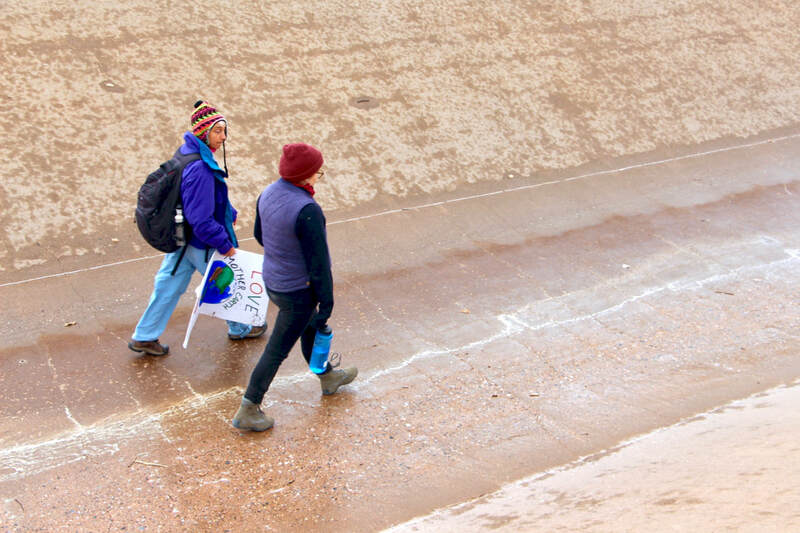 We followed our water, diverted from the San Juan, pumped from the Rio Grande, passed through our bodies, merged with our feces, filtered through its river-like treatment process, back to its convergence with the Rio Grande. We felt UV rays disinfect the water. 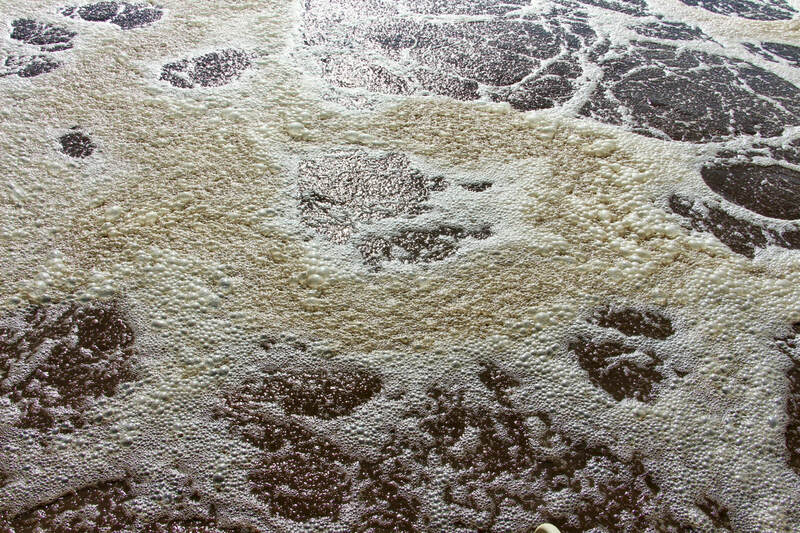 We met the micro-animals that had been in our bodies and now fed on our feces in massive tanks. 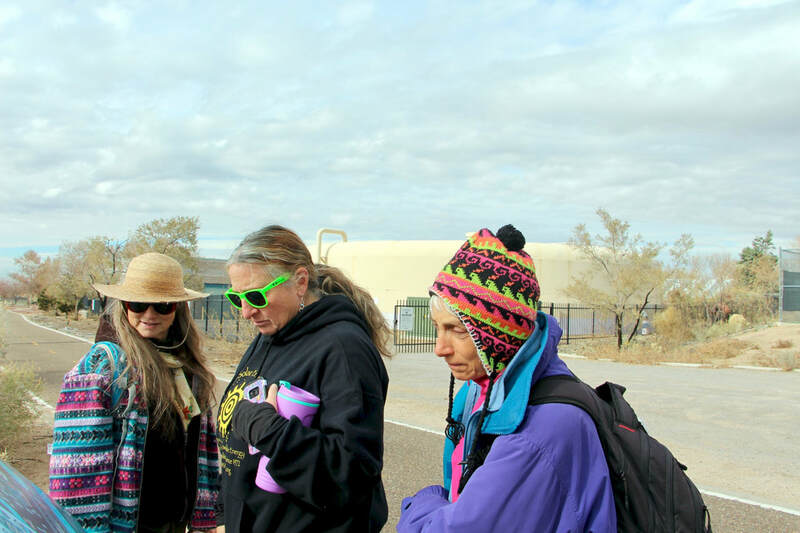 We shared connections, observations, and presence. 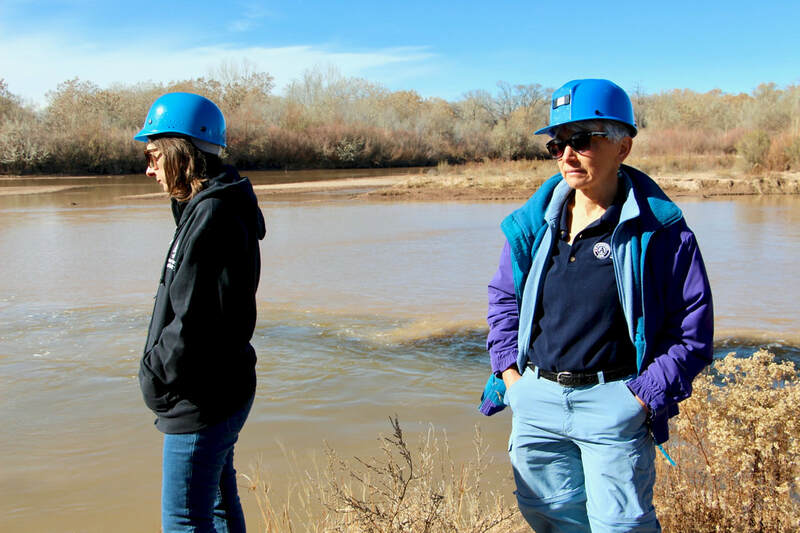 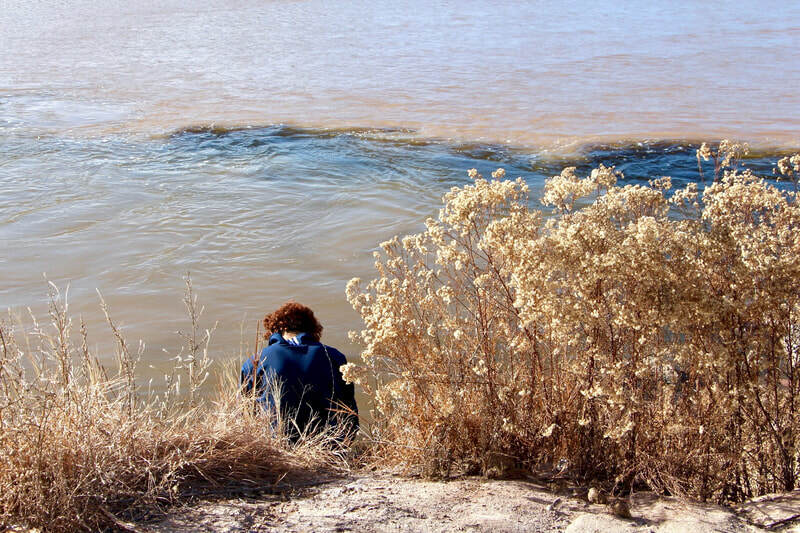 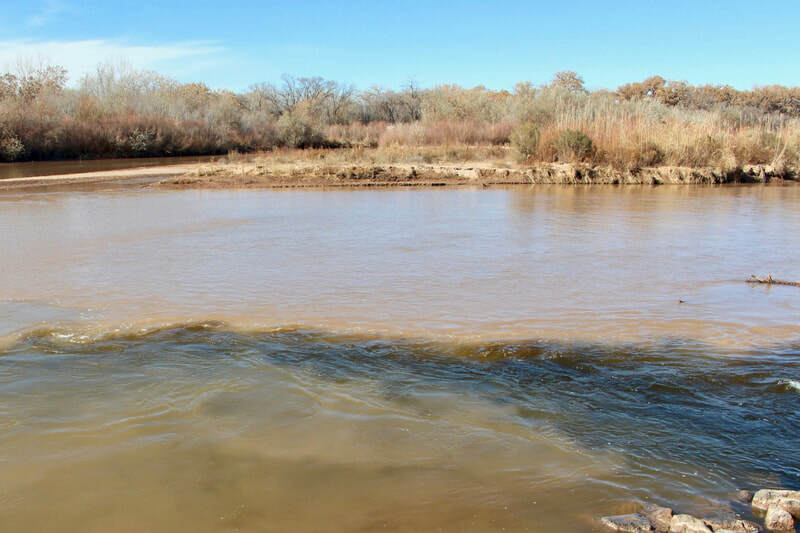 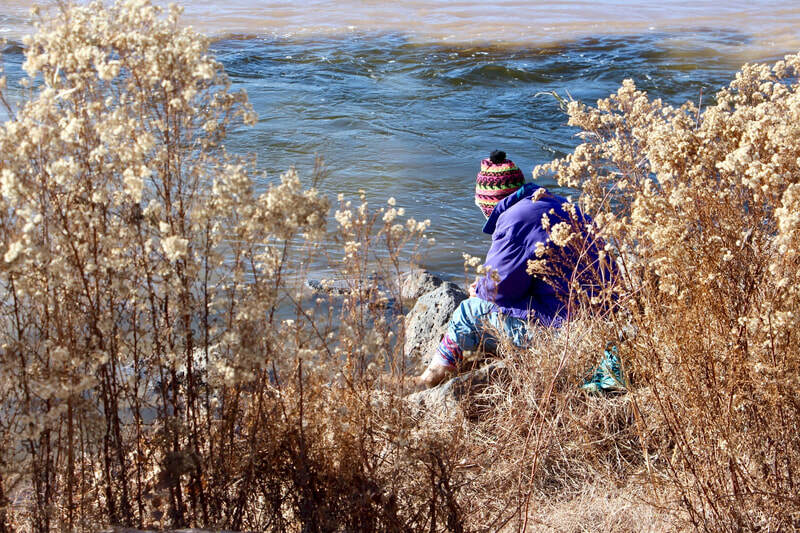 We meditated on movement at the convergence of ruddy Rio Grande and dark, clear SWRP discharge. 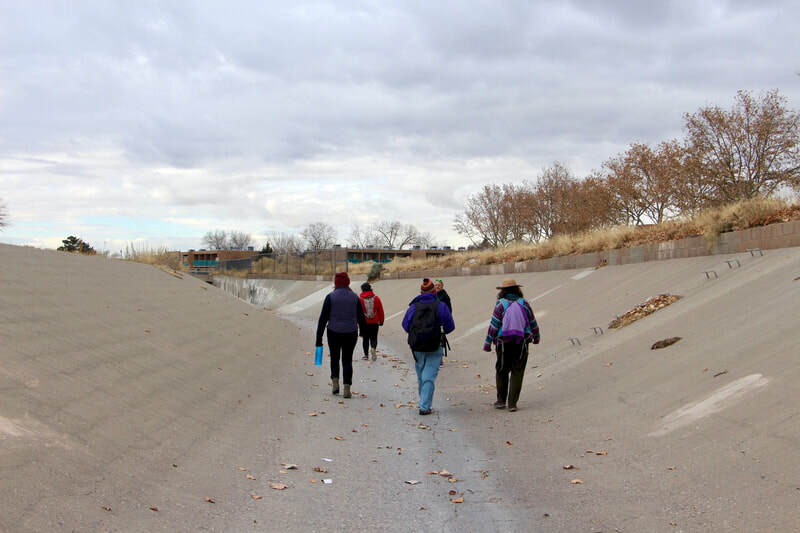 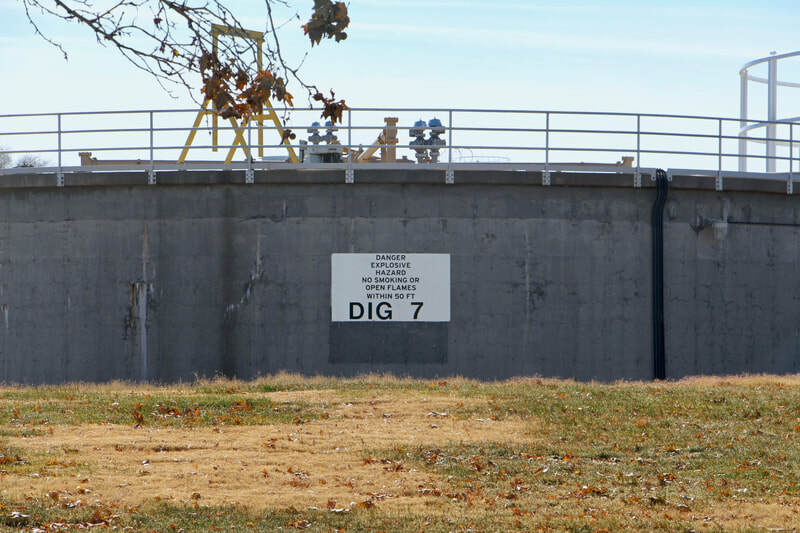 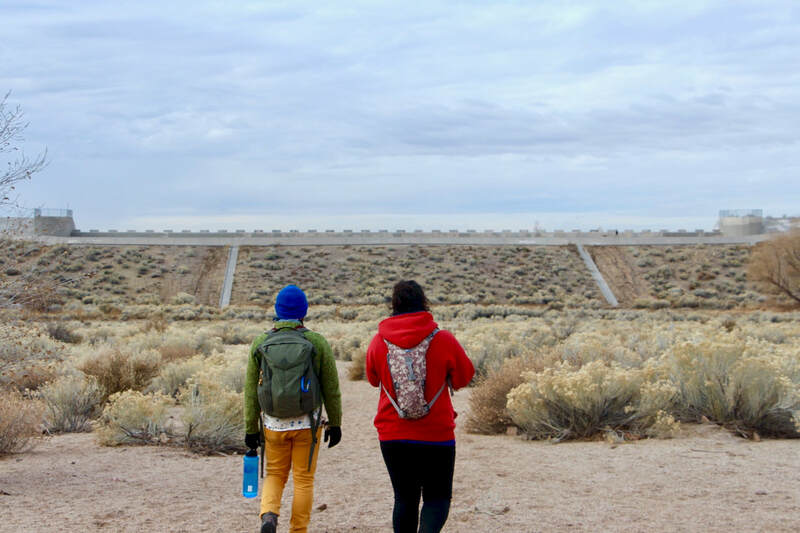 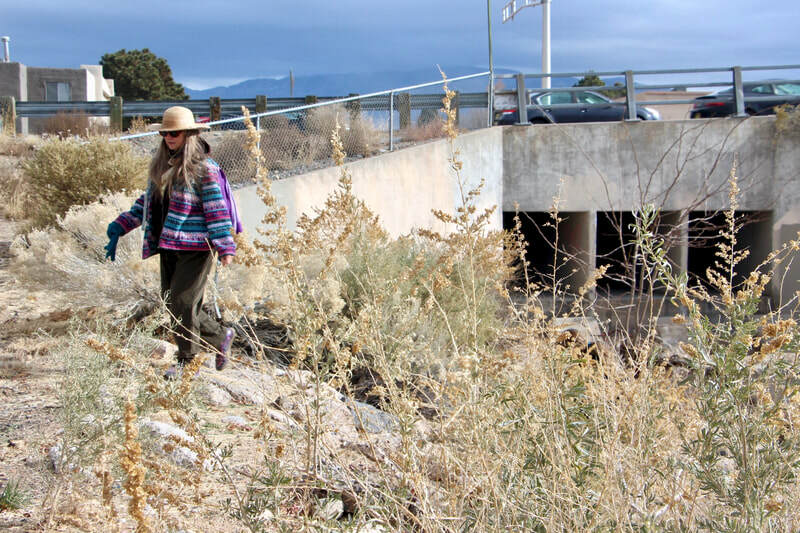 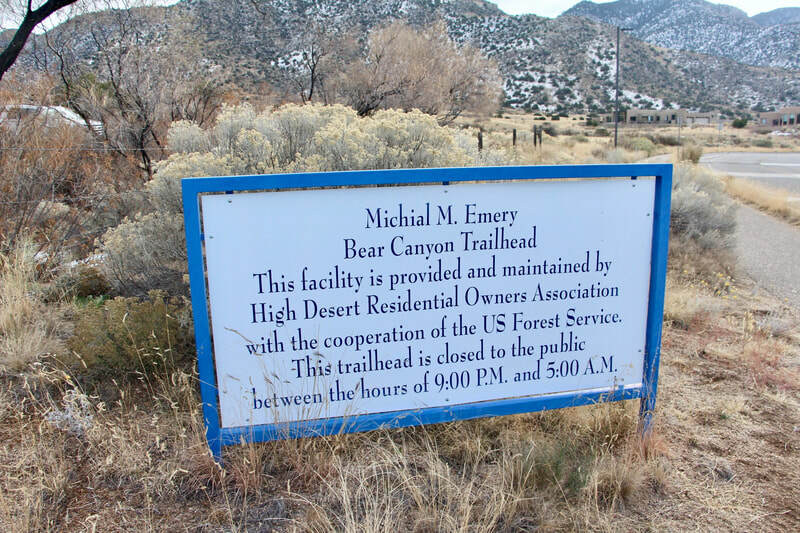 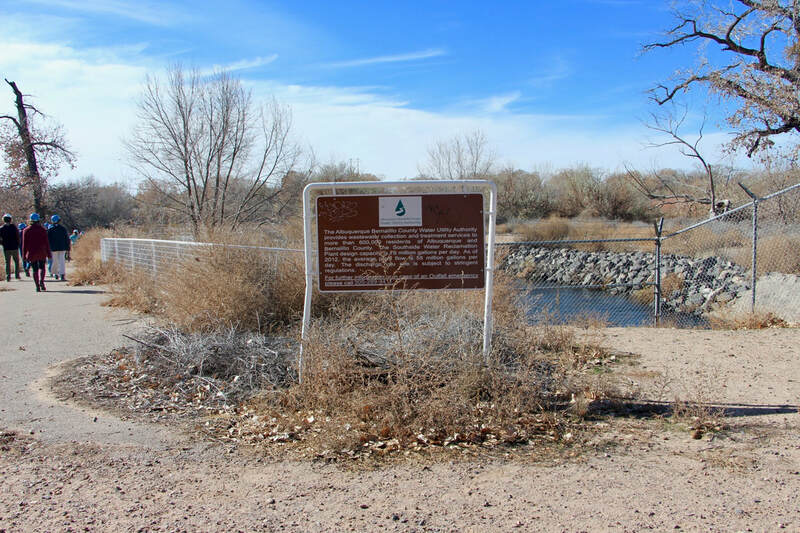 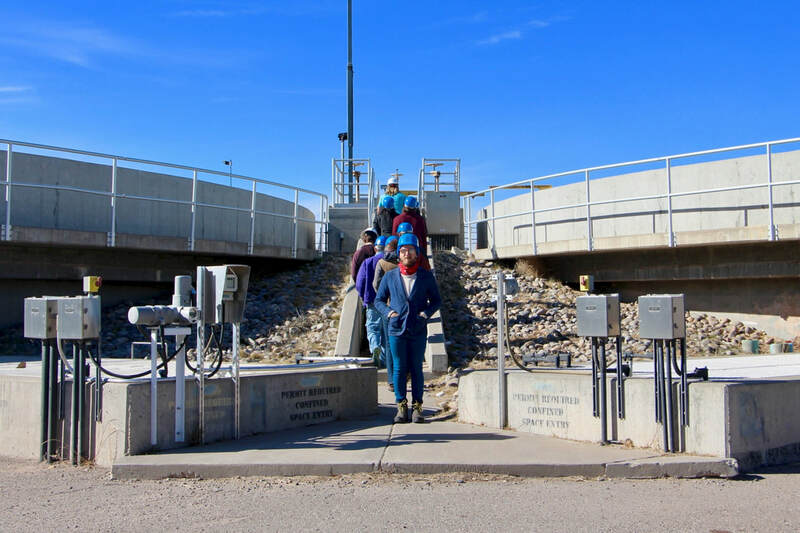 Next, we walked down the Arroyo Del Oso from the foothills of Turtle Mountain to the Aquifer Storage and Recovery Project where water pumped from our rivers is spread and infiltrated back down to our aquifer to be "pumped to the surface when needed" (ABCWUA). 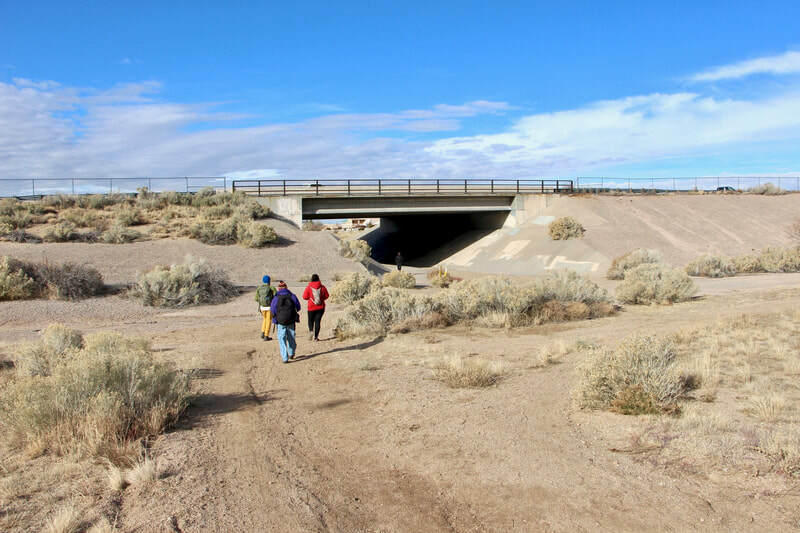 We followed old flows, roadrunners, and gravity through "open spaces" surrounded by million-dollar homes. 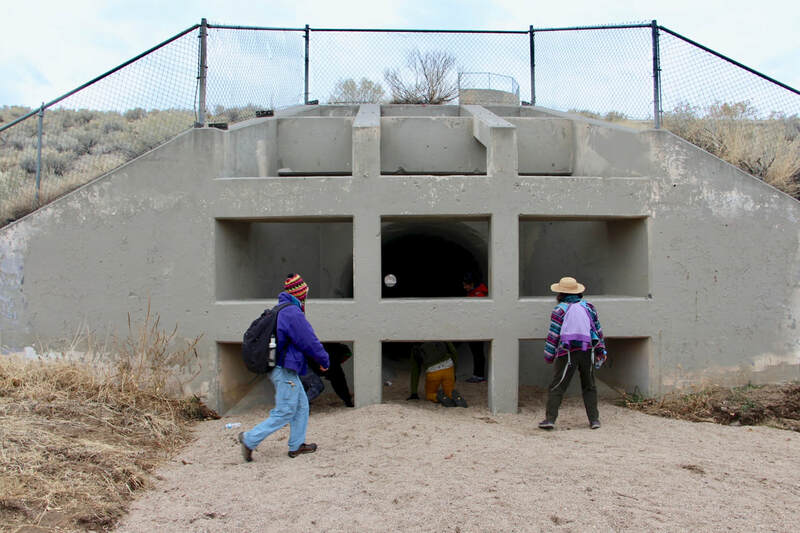 We were temporarily dammed, channelized, tunneled, and released into terraced sandy beds. 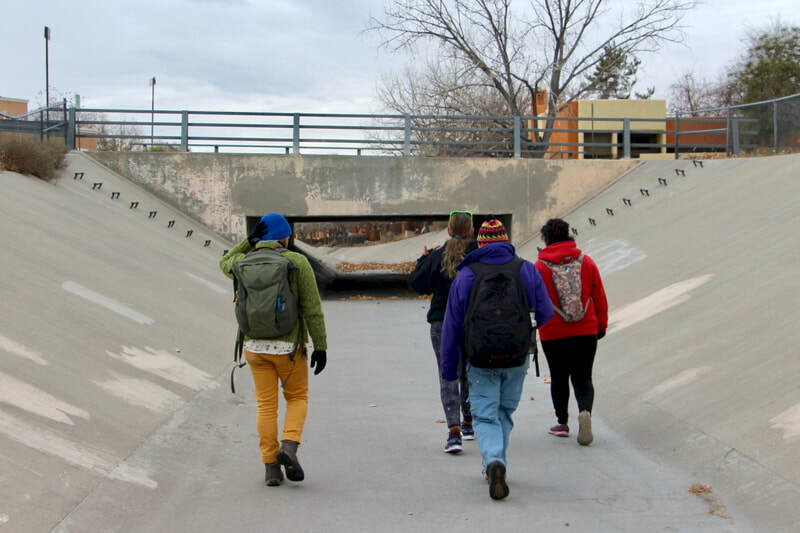 We shared time, space, stories, memories, joys, sorrows, and knowledges as we walked along our city's aqueous veins. 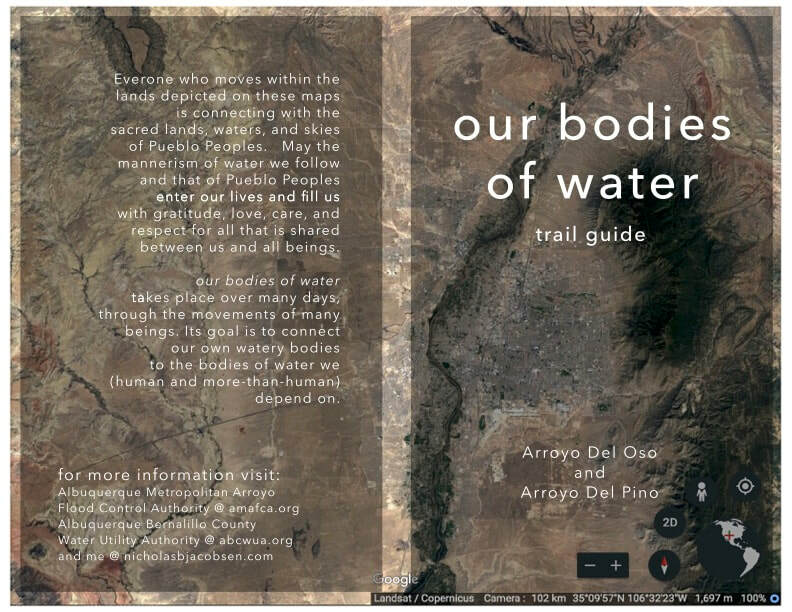 Though we, like the water, were contained in these managed paths, we shared an openness, as wide and deep as the oceans this water's path directly connected us with. 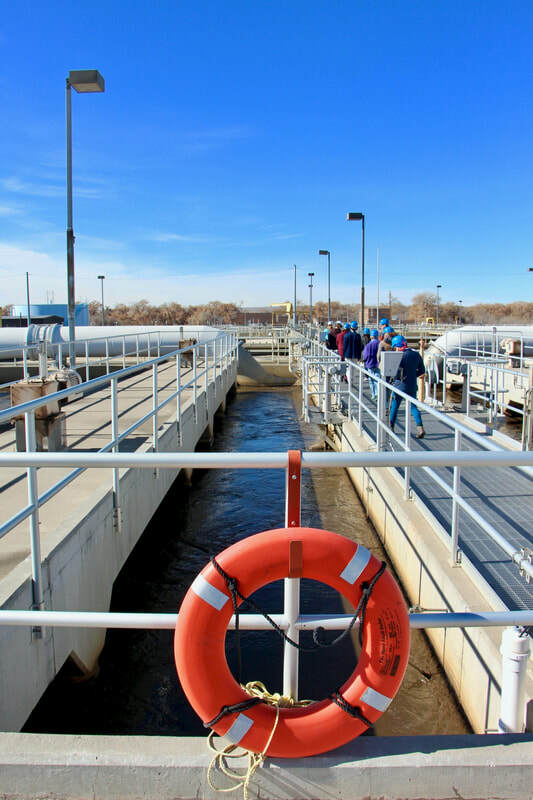 Where does it all go after we flush the toilet or pull the plug on the drain?